Elsewhere Partners is excited to announce its partnership with ActivTrak, a Texas-based workforce analytics and insider threat detection platform. Workers across the globe are increasingly – at least part of the time – telecommuting to the main office from Elsewhere. Driven by the rising costs of housing, longer commutes, and more expensive office real estate, corporations are becoming more accommodating with distributed workforces. 70% of people globally work remotely at least once a week. 52% of people globally spend at least half their time working remotely. Domestically, more than 30% of US employees work remotely at least four days per week – that number has grown by 115% since 2005. WeWork and similar shared office spaces have grown massively due to this trend. While the benefits are highly touted, a much more highly distributed workforce creates challenges as well. Managing remote workers and tracking their productivity can be difficult. This shift also creates material issues with security. Employees used to be located within the same perimeter-protected infrastructure. More distributed workers create endpoint vulnerabilities that are harder to detect and protect. In fact, a 2018 Verizon data breach report found that nearly 30% of cyber-attacks originated from insiders. Both issues are even more acute at the mid-market and SMB segments because these organizations lack enterprise-level, internal management resources and sophisticated cybersecurity tools. At Elsewhere Partners, we obsess daily about the impact of market trends like the distributed workforce movement. We are fortunate to have an amazing group of Operating Advisors who provide unique insights into these evolving market segments. In this circumstance, we spent months working with Rita Selvaggi and Josh Stephens to identify an ideal investment opportunity that is helping solve the challenges of the shift to a more distributed workforce. We are thrilled to announce our $20 million investment in ActivTrak, a Texas-based software company that provides comprehensive workforce analytics to businesses across a wide range of sizes, industries, and geographies. Co-founders Herb Axilrod and Anton Seidler launched ActivTrak in 2012. Together, they realized substantial customer traction with over 130,000 freemium users and 5,000 paid subscription customers without raising any outside capital. Most exciting is that we partnered with the founders to convince Rita to join as CEO! Rita is an ideal executive to lead ActivTrak in its next phase of expansion. We are also thrilled to have Josh Stephens join as an advisor and help guide the product strategy and roadmap. Please read more about our investment here (press release). Nick is a software investor at Elsewhere Partners where he focuses on identifying market themes and finding new investment opportunities. 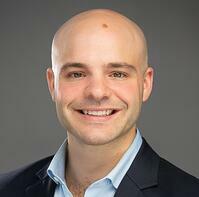 Previously, Nick invested in software companies at Serent Capital and consulted for private companies at Bain. Nick is originally from Elsewhere (Northwest Indiana) and is passionate about bringing capital and operational expertise to software companies outside of traditional venture hubs.